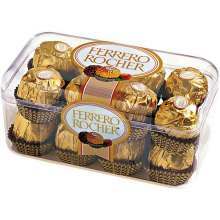 16 Pieces of Ferrero Rocher Chocolate (200 gms) in a small box individually packaged in a gold-coloured wrapper. 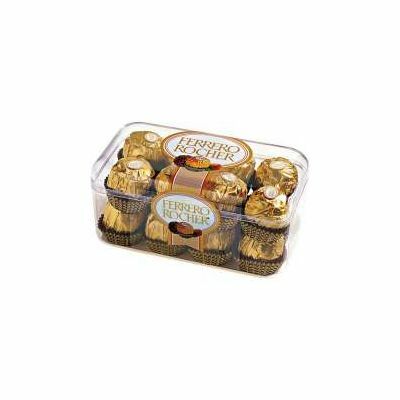 The chocolate consist of a whole roasted hazelnut encased in a thin wafer shell filled with hazelnut cream and covered in milk chocolate and chopped hazelnuts. Limited Stock. Notes • Same day delivery in Vijayawada. If you want delivery in any other place in AP instead of Vijayawada please place an order 2 working days before delivery date. We will directly courier to Recipient.